Concrete carrot was founded in early 2013 by Toby Hurst and Chris Brooks-Dowsett. Armed with over 30 years experience in the construction industry, both Chris and Toby have a passion for innovative product design with an industrial twist. 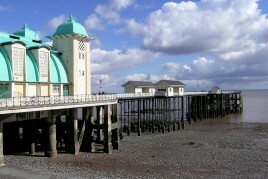 The Concrete Carrot headquarters and showroom is based just outside Cardiff in the vibrant little town that is Penarth. Whilst we are a small company we cover the whole of the UK having undertaken and completed projects across the entire country. As the name suggests, we are all things concrete! Our portfolio includes a range of products including countertops, furniture, sinks, basins, fireplaces, decorative panels, wall and floor tiles, tabletops, sideboards and many bespoke product designs. All of our work is bespoke and made-to-order so our clients can be confident that what they receive incorporates our full attention to detail and extra hard work. Not only that but each item created is therefore completely unique. When working along side a designer, we are very aware of a need for reliability, cost control and time efficiency. We remain in contact, providing updates at every stage and by holding a constant stock of materials we never suffer any delays. From our perspective when we work alongside a designer we want to forge an ongoing relationship and make every effort to ensure that we can be relied upon to provide a perfect service. We also work alongside private clients whether that be for a kitchen revamp, an interior makeover or contemporary furniture design. Our Private Client Service is a similar to our Designer-Led Service although we will provide a much greater input on design where necessary. From our studio we can produce technical drawings and sketches giving our clients an accurate representation of what can be achieved.